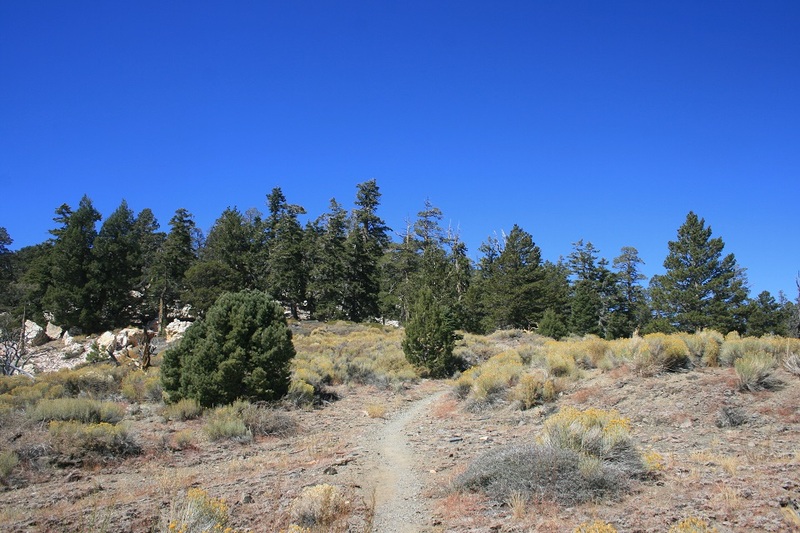 Location: This post describes the shortest approach to Sugarloaf Mountain, from forest road 2n93 (Wildhorse Meadows Road on Google Maps) in the San Bernardino National Forest near Big Bear Lake. Reaching this trail head requires six miles of driving each way on a rocky dirt road, so high clearance vehicles are strongly recommended. Those who don’t want to risk driving on the rocky road can use an alternate, longer (9.4 mile/2,300 feet of elevation gain) route to the summit, described here. To reach 2n93, take Highway 38 northeast from Redlands for approximately 35 miles. The turnoff for 2n93 is about 2 miles past the Wildhorse Trail Head, near mile marker 35.7. (If you miss it, there will be a large turnout on the left shortly beyond, allowing you to make a U-turn). Follow 2n93 for 6 miles, staying right at the first junction and then left at another junction at the edge of Wildhorse Meadows. Park in a small clearing at a Y-junction. Allow at least half an hour each way for the drive on the narrow, rocky dirt road. Approximate trail head coordinates are N 34.2055, W 116.7651. 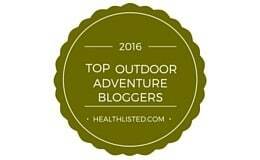 Camping/backpacking: The nearest campground is Wildhorse Trail Camp. From the Wildhorse Trail head to Sugarloaf is a 15.6 mile round trip and a popular backpacking route (it also allows hikers to bypass the dirt road). Sugarloaf’s summit is an option for camping, although temperatures can get cold, even during the summer, so plan accordingly. 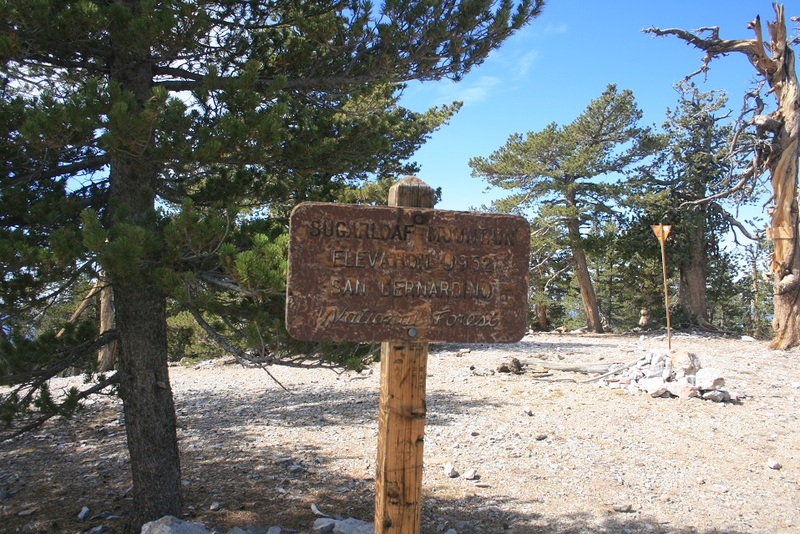 For information about dispersed/remote camping in the San Bernardino National Forest, click here. 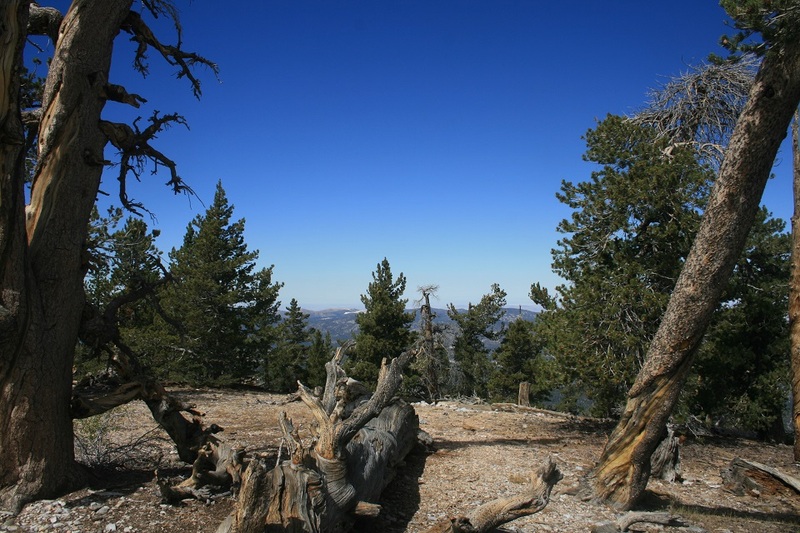 Named for its distinctive round shape, Sugarloaf Mountain is the highest point in the San Bernardino Mountains outside the San Gorgonio Wilderness, at 9,952 feet. Despite its height, it doesn’t offer a true 360-degree view from the summit, which is heavily forested. Another critique of Sugarloaf is the rockiness of the trail. 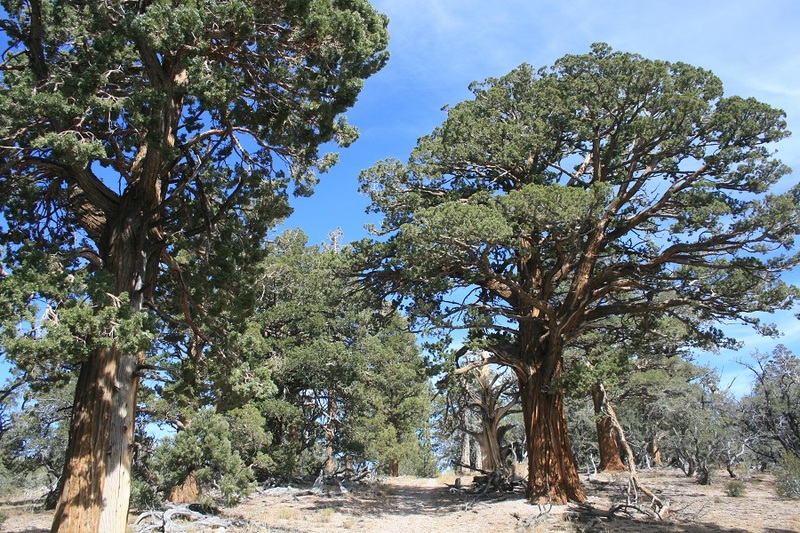 However, these drawbacks are outweighed by Sugarloaf’s assets: solitude, panoramic views on the way up including the San Jacintos/Santa Rosas an the high desert and a variety of trees including junipers, Jeffrey pines, white firs and more. Its altitude also makes it a good training hike for high elevation climbs such as San Gorgoino. 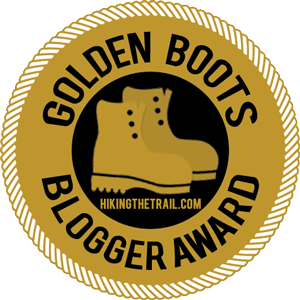 After the adventure of getting to the trail head, the actual hike is straightforward. From the opening in the fence on the west side of road 2n93, begin heading uphill. 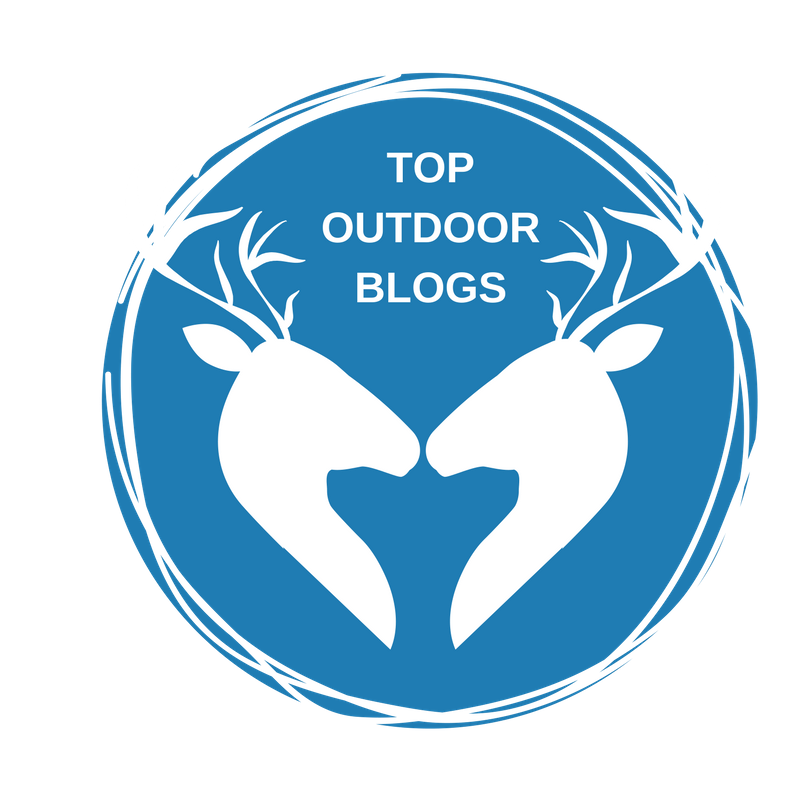 The bottom of the trail is vague, but if you keep an eye out for trail ducks your route will soon become clear. You waste no time, climbing steeply (remember, you are starting at over 8,600 feet above sea level so there is little time to acclimate.) 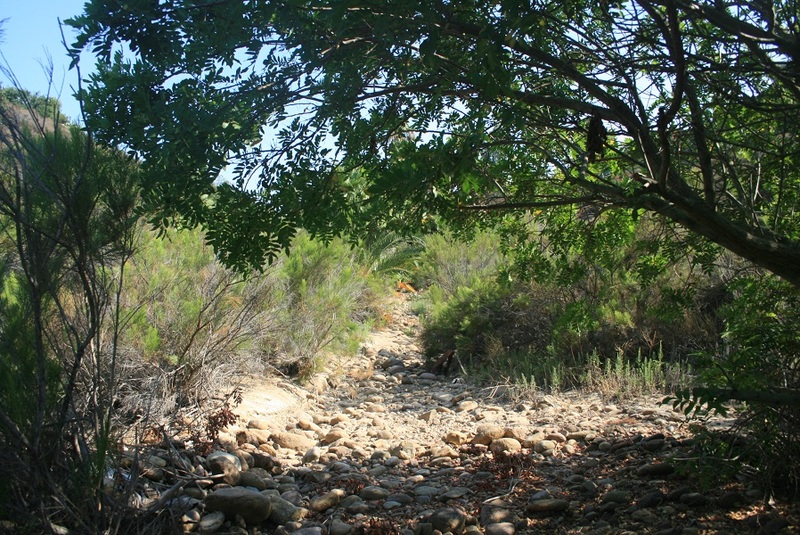 After a quarter mile, the trail levels out, meandering through a pleasant mixed forest. 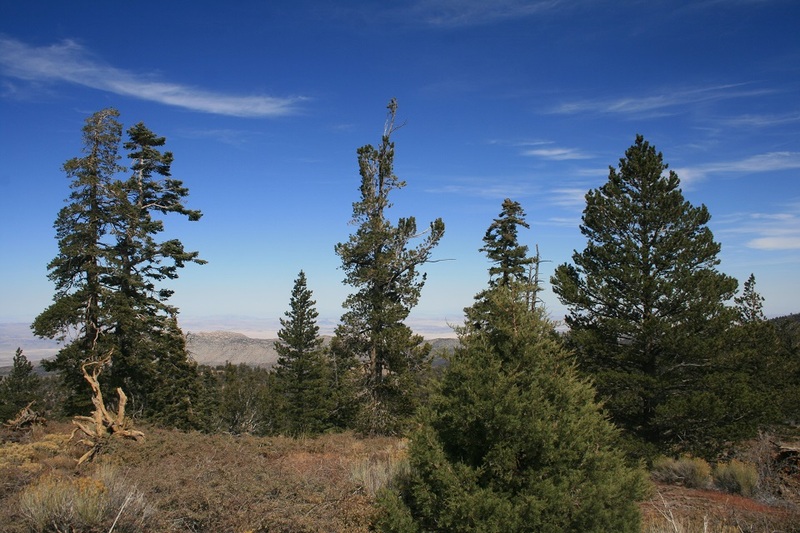 Here on the mountain’s eastern slope, desert vegetation (junipers, sagebrush and even a few cacti) mingle with the conifers characteristic of the higher altitudes. From the bump, descend to another saddle, where Sugarloaf’s true summit comes into view. 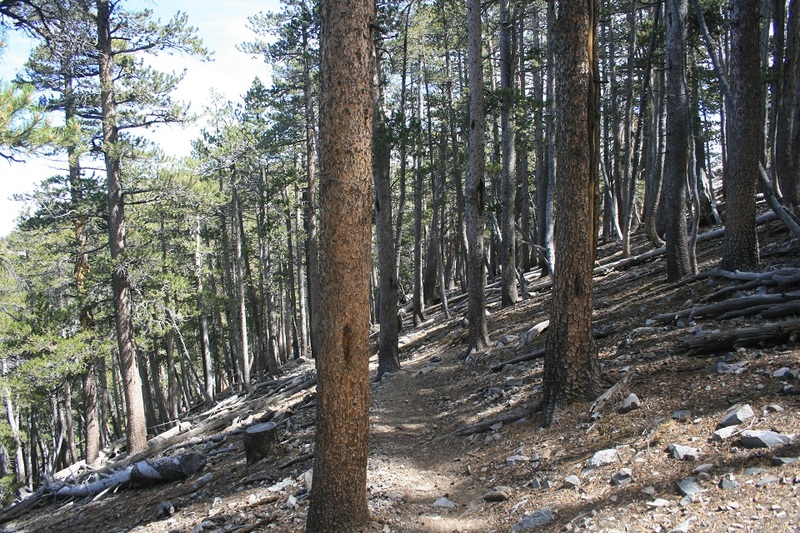 You begin your final ascent, through a thick stand of Ponderosas and a few scraggly junipers, some of which have completely twisted on themselves. 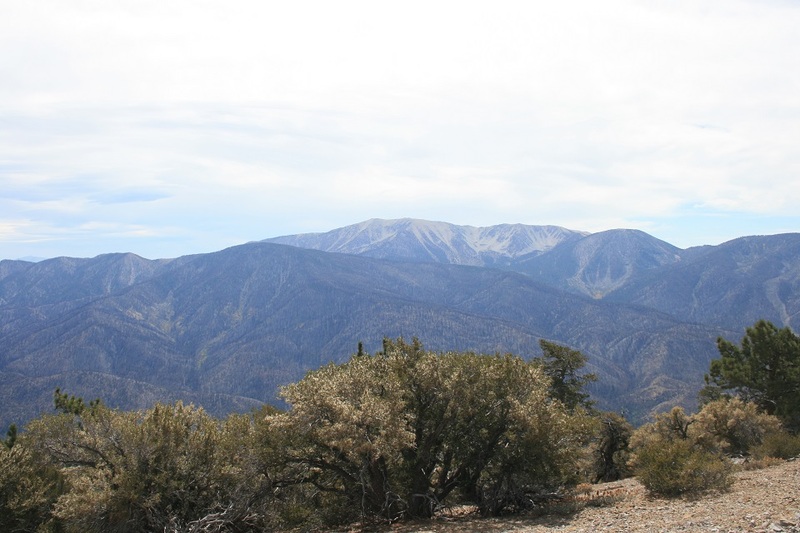 Half a mile of huffing and puffing (with some great views of the Santa Rosa Mountains to reward your effort) gets you to the eastern edge of the summit, where it’s an easy jaunt through the pines to the high point, marked by a large sign. 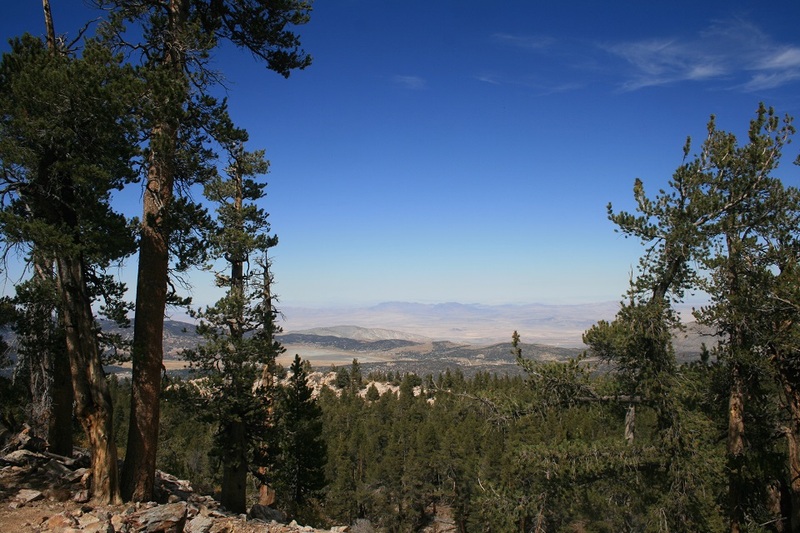 Between the trees you can get glimpses of the mountains on Big Bear Lake’s north shore and Holcomb Valley beyond.